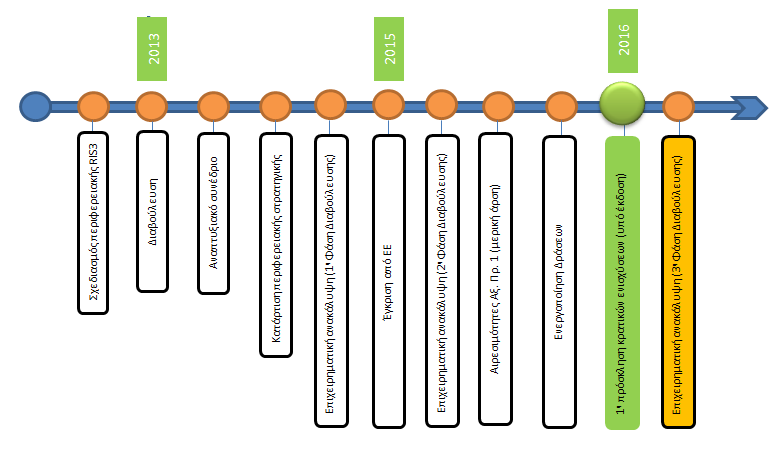 The Strategic Framework for “smart specialization” in the North Aegean Region for the 2014-2020 programming period states that particular features (geographic, social, economic, cultural) should be exploited to exploit potential comparative advantages by shaping its own vision for its future regional development. The peculiarity of PBA is that it does not consist of a single geographic space but a multidisciplinary island complex. Isolation due to the marine element (and especially due to the limitation of communications between islands) or the tightness of resources (human and natural) on each island create a completely different frame of reference than in the mainland. In this insular area it is difficult to achieve economies of scale (due to the limited resources available) and large markets and businesses (due to small population size and isolation). The strategy of smart specialization developed by RNA aims to: “Transform the economy of the Region of North Aegean into a competitive economy based on the smart exploitation of local production systems and their emergence in systems of new dynamics and perspectives”. This Program of Action was approved by the Regional Governess of North Aegean, Christiana Kalogirou and the Regional Council, while the Regional Research and Innovation Council (recommendation 403 / 16.02.15) adopted the Action Plan. The European Commission with Ref. Ares (2015) 3073022 / 22.07.15 approved the Smart Specialization Strategy (RIS3) of the OP “North Aegean 2014-2020”. This website was implemented with co-funding of Greece and the European Union. The actions managed by the Special Management Unit of the Region of North Aegean co-funded from the European Structural and Investment Funds.